Friedrich Kuhlau, a German-Danish pianist and composer of the late Classic and early Romantic eras, wrote several compositions for flute. The ”Allegro con gusto” (meaning “with taste” or “with pleasure”) we propose today is the opening movement of the first of 3 Grand Solos for flute and piano, Op. 57. 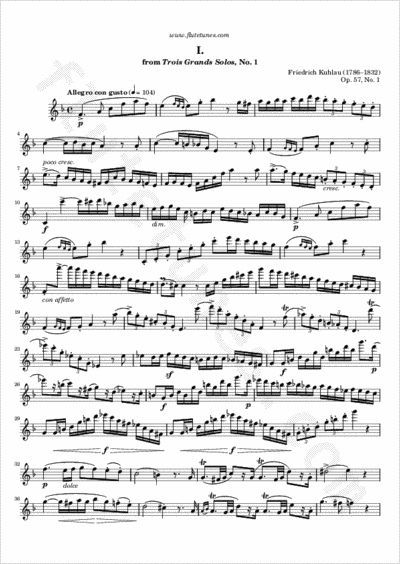 Some editions mark the piano accompaniment as “ad libitum”, meaning that the piece can very well be played by a solo flute without any accompaniment.